Laps for Learning is a walkathon event that takes place on campus during school hours. Students walk/run laps to help raise money to cover the cost of field trips. Money raised by this event helps pay for field trips. Daytime field trips expose our children to learning outside of the classroom. 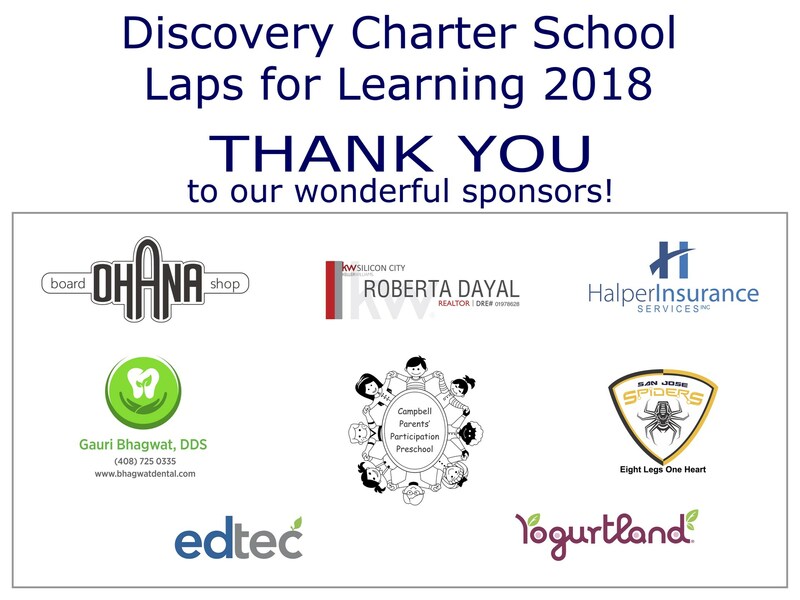 Discovery Charter School thanks all of our wonderful sponsors for their support this year. With their help we were able to raise money for field trips, provide each student with an event t-shirt, and have a fun, successful walkathon event!